A Certified Hyperledger Expert is a skilled professional, who understands what is hyperledger, how hyperledger works and also uses the same knowledge to built private permissioned blockchain-based applications for enterprises, businesses and research projects. The CHE credential certifies an individual in the Hyperledger discipline of distributed ledger technology from a vendor-neutral perspective. This course is especially for people who want to begin learning about Hyperledger technology. This course will cover all the details regarding the architecture of hyperledger fabric and composer. It will also help you to understand the hyperledger family, so you can begin building blockchain applications on top of hyperledger platform. 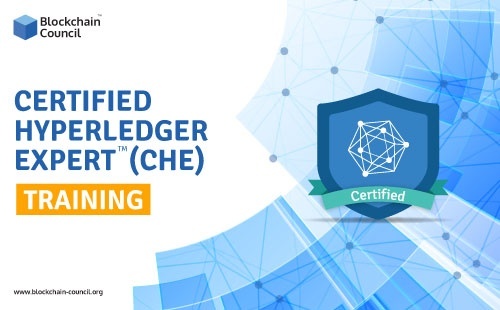 The certified hyperledger expert is an exhaustive training and exam based program aim to provide proof of knowledge to the certificate holder in the blockchain space.